Crossfire: Slides, Swings, Roundabouts and.. The last few weeks have not been great for the Conservatives. There's talk of slides in opinion poll ratings and swings towards a possible hung parliament at the next General Election. In the last few weeks, the previously hapless Gordy Broontroosers has managed, on a few occasions to look almost statesmanlike. It was a good move on his part to get in his announcement about an increase in troups to Afghanistan before Obama officially made his announcement. He avoided the poodle trap and by being able to make his commitment first, at least implied that he had some influence with the US over the conduct of the war. The Conservatives seem to have lost the initiative and last week's largely failed attack at PMQs didn't help much. In the absence of Gordy constantly doing obviously stupid things, the Conservatives look less of an obvious alternative and more like the 'young pretenders'. And while Gordy's continued borrow and spend policies are sustained people are widely believing that the recession is over. The BBC keep talking about the recession in the past tense despite constant reports about the possibility of Britain losing it's credit ratings and facing a borrowing crisis. So come on fellas. Time to purge the image of you as fresh faced 'new kids on the block' and start looking serious. You need serious strategy, you need to be hacking lumps out of the govt, it's failed record and it's total lack of strategy for the future. 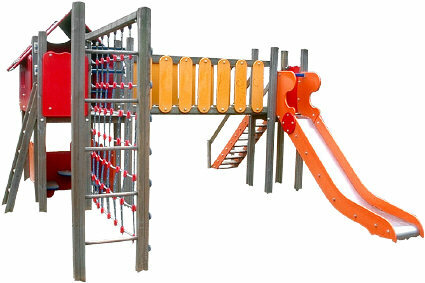 In other words kids, get off the slide and get yourself ....a climbing frame!